Full kitchen remodel. we remove the load bearing wall and recessed the beam. 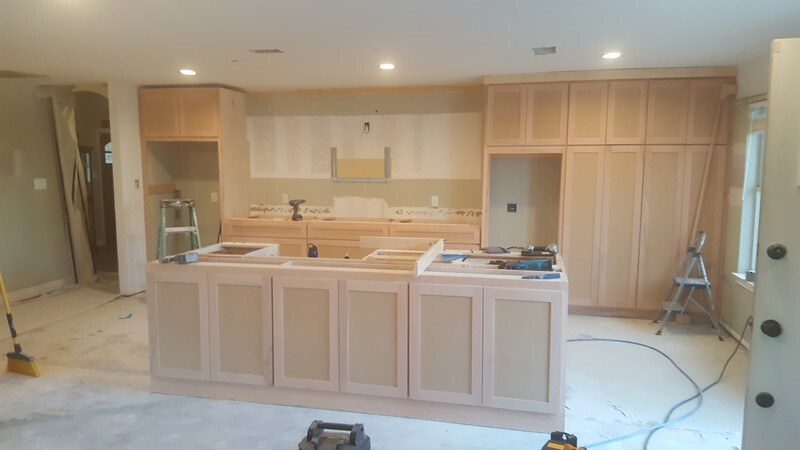 Build a 9 ft island and cabinets allong the back wall. new cans lights and floating shelves with LED's. New engineered flooring. new texture and paint.